Over 115 fun, learning activities that help children learn important skills in the key learning areas of creative development, problem solving, reasoning, numeracy, communication, language and literacy. 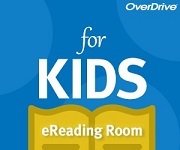 Junior eBooks and eAudiobooks available for download through the Western Australian Public Libraries Digital Media Collection on Overdrive. A place where the wonderful world of Australian Children’s Literature is on permanent exhibit Story Box Library in a beautiful online ‘reading room’.